The only thing worse than winter driving in a RWD Mustang is probably winter driving in a RWD Mustang that can’t get over the train crossing, when a train is coming. 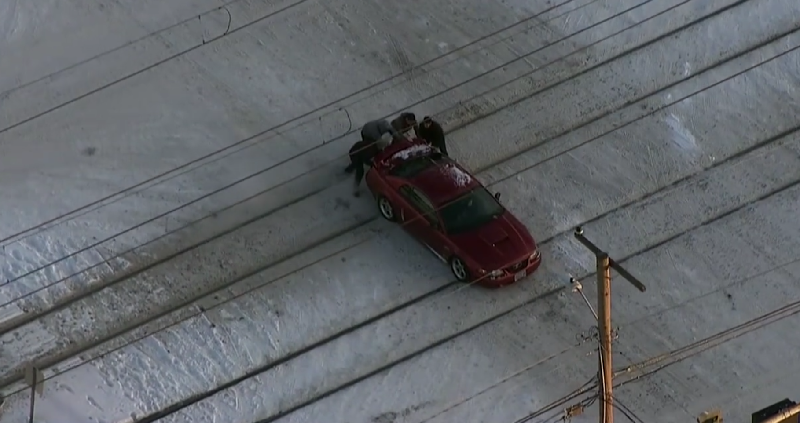 In what must have been a pretty pants-shitting, too-close-for-comfort moment for all involved, a group of helpful citizens chipped in to help push this stuck Mustang off of a rail crossing in the Portland snow. The train doesn’t look to be moving too fast, but trains are more about momentum than anything and it probably would have hurt very, very bad for all involved. Honestly I can’t say what I’d do, but my first instinct with anything dangerous in life is typically to give up immediately. 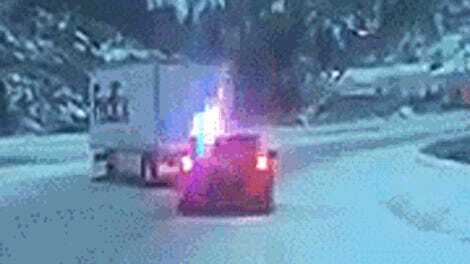 Luckily this Mustang driver managed to have a surprising amount of willing and helpful people around to save them and their car.